Welcome to Tennessee Honey in Pigeon Forge! 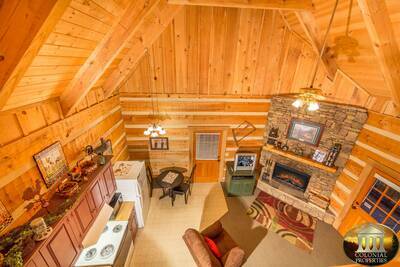 This amazingly beautiful 1 bedroom, 2 bath Smoky Mountain cabin rental has luxurious features and amenities that are certain to make for a memorable vacation getaway with your loved one. The expansive living room provides you with soothing natural wood accents, a cozy stone accented fireplace, flat screen TV, and deck access. Located nearby you’ll enjoy cooking your favorite meals in the fully equipped kitchen and sitting down for a romantic dinner at the dining table. On the main level of Tennessee Honey is the comfortable and relaxing master suite. This gorgeous bedroom treats you to a custom log king bed, beautiful decor, flat screen TV, in-room jetted tub, and a private ensuite full bath for added convenience. 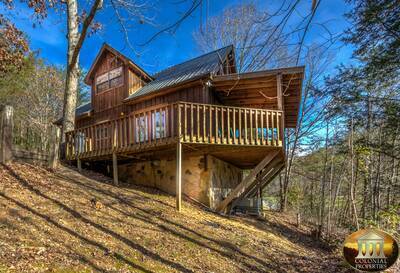 Additionally, on the main level of this Smoky Mountain cabin rental is the second full bath. Venture upstairs and enter the fun and exciting loft area. This wonderful space offers a custom log pool table, additional sleeping space, and your very own wet bar with slate top. Step outside at Tennessee Honey onto the wrap around covered deck and you'll find the bubbling outdoor hot tub, custom log patio table, rocking chairs, and soothing wooded views that will make you feel like you're right in the middle of the national park. In the warmer months, be sure to bring your bathing suit and sunscreen so you can head over to the swimming pool located nearby. Conveniently located only 10 minutes from the main Pigeon Forge Parkway, you will love being near all of the attractions, shopping, and dining in the Smoky Mountains! 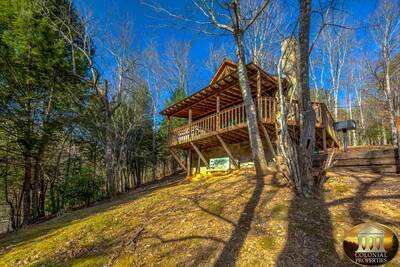 A: Yes, this cabin is in the Shagbark resort in Wears Valley. A: Hi Penny! The roads to enter the resort are not steep. However, once you enter the resort you will encounter some mountainous roads. A: Hi Trey! Tennessee Honey is located within the gated community Shagbark. A: Hi Bruce! 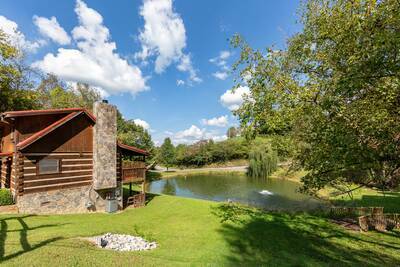 Tennessee Honey is located off of Walden's Creek in the gated community Shagbark. A: Yes, this cabin offers internet. A: Hi Tammy! Yes, all of our vacation rentals are equipped with central heat and air. “ This cabin was gorgeous! It was fantastic for my husband and I to go to for our honeymoon! Wasn’t a terrible drive to Pigeon Forge or Gatlinburg! We will be returning! 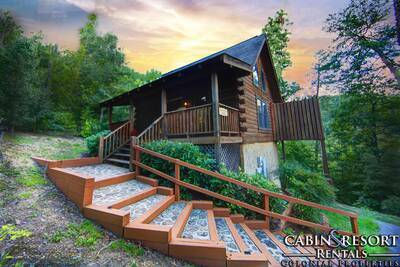 “ This cabin was exactly as pictured on the web site. Beautifully decorated and extremely clean. We were pleasantly surprised that it had been decorated for the holidays with Christmas tree and all. Highly recommended. It is obvious that the owners take great pride in this home away from home. “ Everything was just dandy! 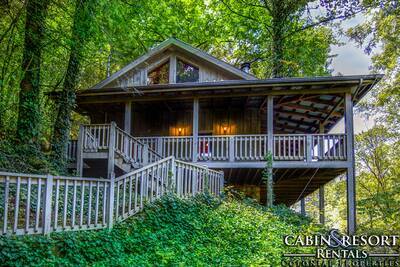 “ Tennessee Honey was a very beautiful and relaxing cabin. My girlfriend and I had a great vacation, this cabin made it all the more better!